Liberation of workers submitted to exploitation and degrading lodging conditions at Tuere farm, Para State, Brazil. 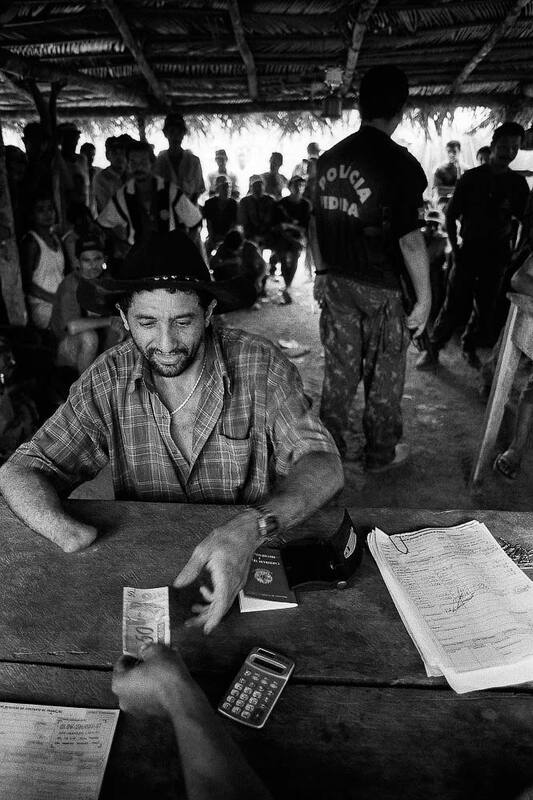 Mutilated worker receives payment with the support of the Federal Police. Contemporary slavery in Amazon rainforest.